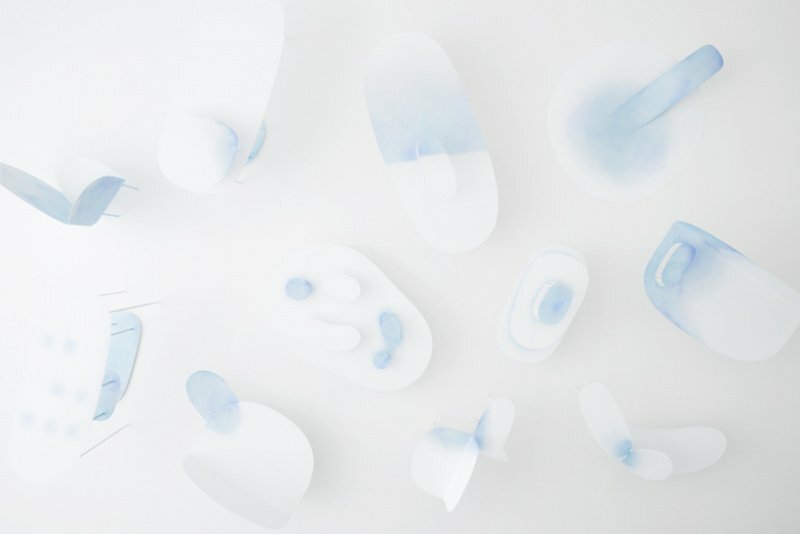 When I saw Nendo’s Watercolor series at Design Miami, I found myself once again in awe of this design studio. 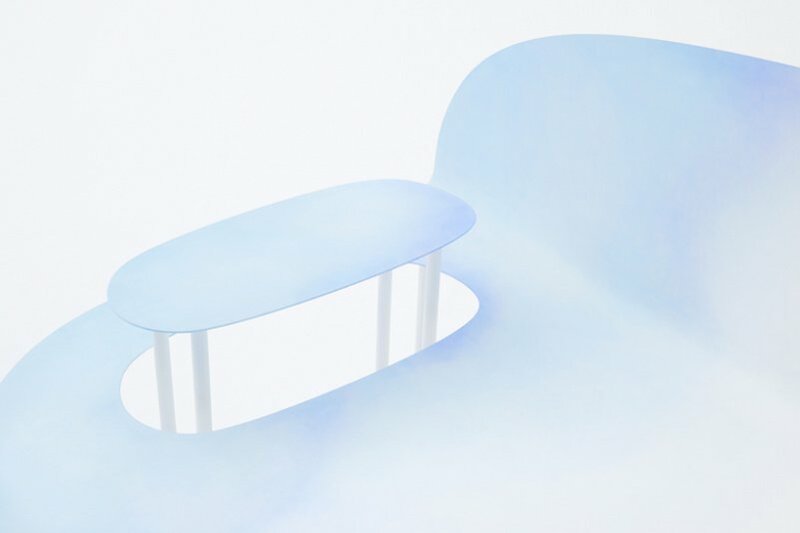 The series consists of eighteen pieces of metal furniture inspired by the seepage of watercolor paints on paper. In order to get the maximum “paper” effect, all of the works have been designed to look as if they were folded by hand. From a distance, they look light, thin and flexible, completely canceling out the metal feeling of weight and rigidity. The beautiful layered blues really are applied by hand. It takes care, patience and time to obtain such an effect. Another series from Nendo that subverts the way materials are presented and explores the plasticity of objects is the Jellyfish Vase series, released at the 2017 Milan Design Week. 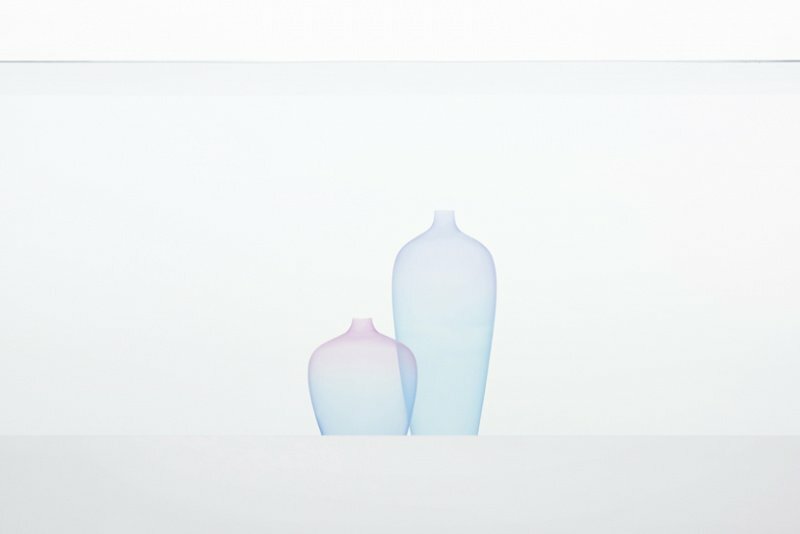 The vases are made from ultrathin transparent silicon, and dyed twice to create colors that seem to float as mere shadows of color in the water. 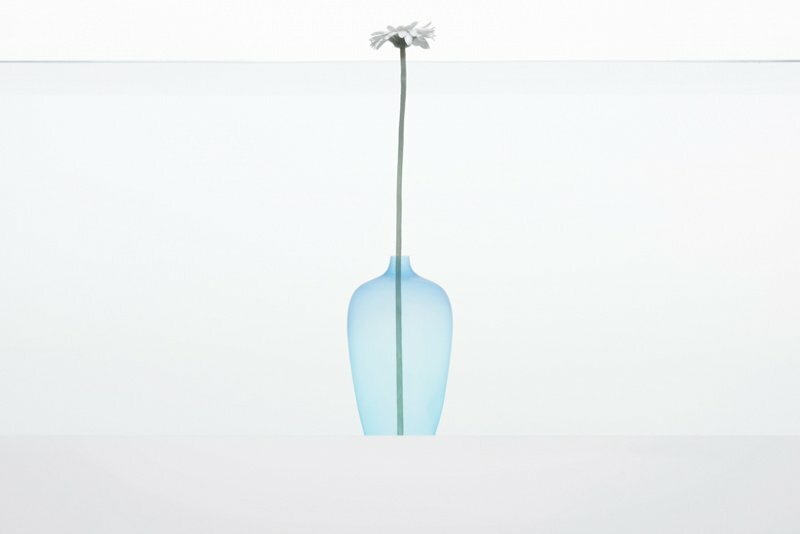 This series redefines the traditional relationships between flowers, water and vases—by softening the sense of the boundary of water within the vase, the vases and flowers are made to seem to drift in the water as an undifferentiated whole, rather than the flower inserted into a vase full of water, as we usually see. Like their motto, “Giving people a small ‘!’ moment,” Nendo’s designs are always fascinating, minimalistic yet warm, a little moment of surprise in our lives. 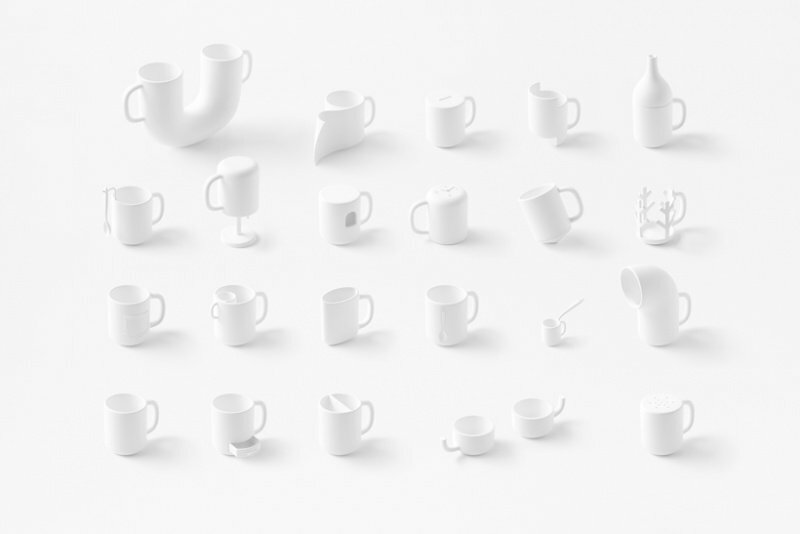 Aside from their own designs, Nendo collaborates with many other brands, such as the Chinese designer brand ZAOZUO. Recently, they have also designed a series of thematic transforming cups with Japanese publisher diamond inc. 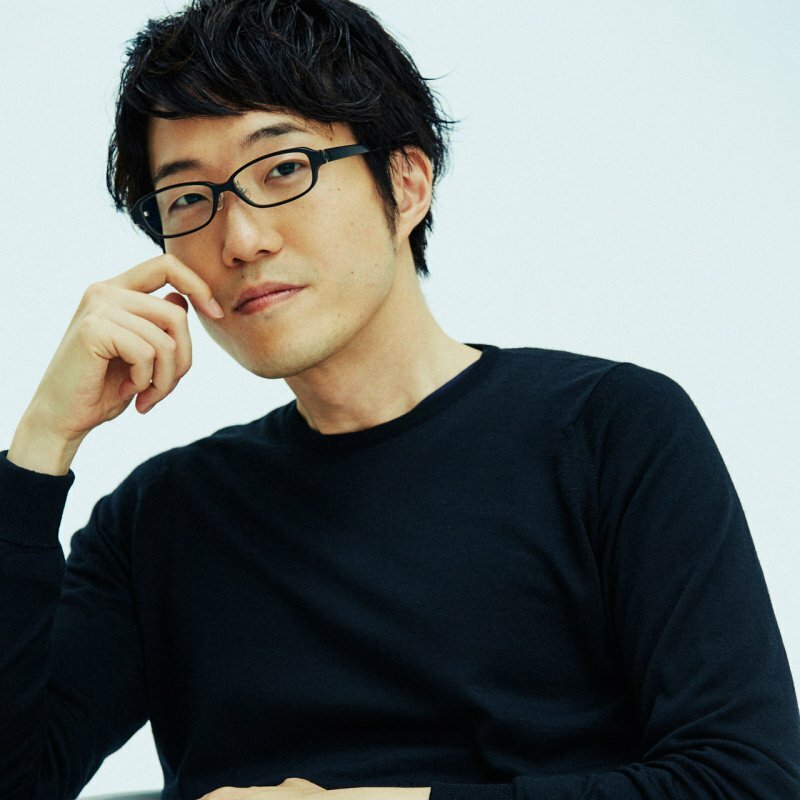 According to founder and lead designer Oki Sato, the studio’s record for the most simultaneous projects is 400. How many designers do you need to run 400 projects at the same time, and how do you maintain such high standards at that rate? When I learned that Nendo has only about thirty people in their studio, my delight turned to astonishment. Nendo, which in the Japanese language means “clay,” is about ecology, plasticity, freedom, agility and flexibility. The studio’s growth has lived up to this meaning. Within three years, they opened an office in Milan, and went on to create even more possibilities. “If I focus on only one or two projects, I can only think about one or two projects. When I start thinking about working on more projects, it relaxes me.” Oki Sato likens design to a top that must continually spin, or a fish that must swim constantly to stay alive, and says design is an addiction for him. For him, creativity spurs more creativity, so stopping is impossible, just like breathing. Anyone who treats the act of bringing the things you like to life as essential as breathing is bound to succeed. I think that, if all the young people who feel lost about their lives and futures can be like Oki Sato, finding their goals and relentlessly pursuing them, then even if they don’t end up like him, they will at least certainly be able to find joy and fulfillment.